My Mt Coolum Climb tunnel-focus has kicked in BIG-Time!!! | Chasing my Dreams! 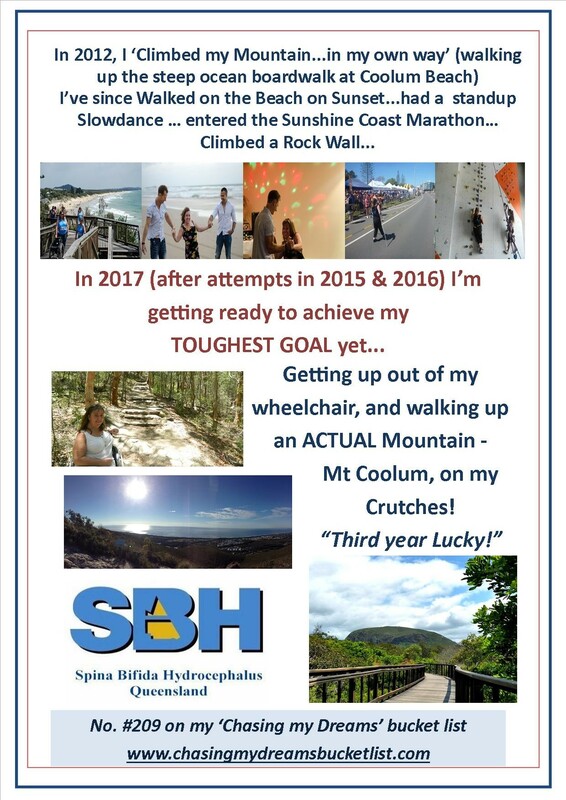 I apologise for the lack of updates since the beginning of 2017 – knowing that my Mt Coolum Climb IS, and WILL be happening this year (my 3rd, yearly attempt) I’ve been very tunnel-focussed and doing the very best I can to prepare for it, along with dealing with everything else in my life behind the scenes. Its all getting very exciting! “229. See a turtle in the ocean/its natural habitat” – I’ll be writing a blog about this cute little visit from “Tommy the Turtle”, after my Climb – my tunnel focus has me not wanting to concentrate on anything else but getting up the top of that beautiful Mountain, right now! Aside from preparing hard for my Climb, and spotting Tommy the Turtle…I’ve been back to Sunshine Coast Riding for the Disabled for more sessions on their beautiful horses, slowly getting over my fear of being back up on a horse, since being bucked off twice, a number of decades ago! My confidence is slowly growing, and Im actually enjoying it now…which makes a change from when I first got back up, I was very scared! THAT right there is exactly why I did it though…to work through that fear I had held onto for so long! 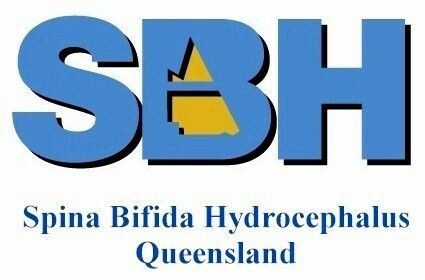 As always, I am still striving to raise as many funds and awareness as I can, for SBH Qld (Spina Bifida Hydrocephalus Qld). Sunshine Plaza Maroochydore are continuing to be a very much appreciated source, to be able to be placed at their Community Site a couple times a month – this has proven to be very successful, in getting the word out about SBH Qld, and also to raise these muchneeded funds. SBH Qld relies on community support to continue its programs to support over 700 families in the State of Qld. The current total raised is so, so close to $9,000…I am so proud to have raised these funds, with the community support shown towards myself, and SBH Qld! I am hoping to reach the magic milestone of $10,000 by the time my Climb is over – who knows, I may be able to achieve this on the day as well! If you would like to donate to this very worthy cause and help me reach the magic milestone of $10,000 raised, please feel free to click on the Donate button, on the right hand side of this page! 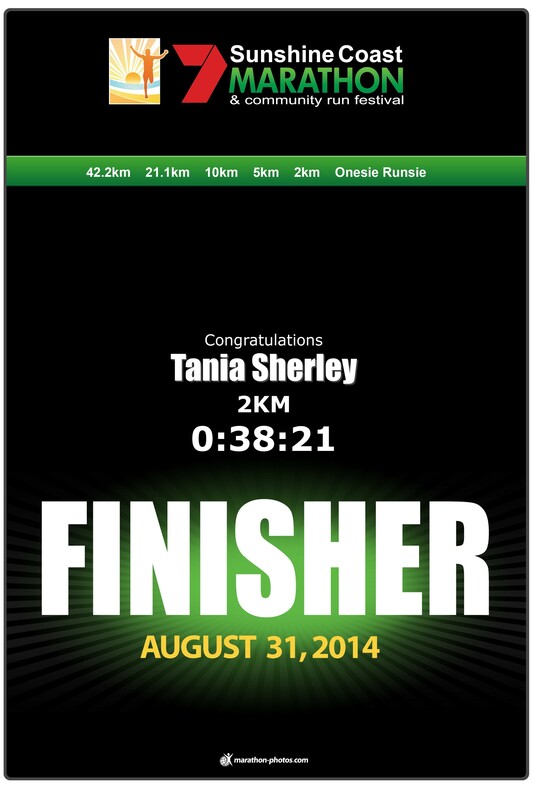 WALKING TRAINING RAMPED UP TO A WHOLE NEW LEVEL! My Climb/walking training went up a whole new level today, completely unexpectedly! Next minute…out comes the chains/weight belt haha…it was awesome – and I definitely noticed a difference on just how much harder I had to work, with the extra weight on me! OK…next stop…Mt Coolum, here I come! BRING. IT. ON!! !